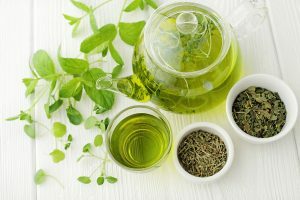 A molecule called epigallocatechin-3-gallate (EGCG), found in green tea, was shown to break down apolipoprotein A-1 (apoA-1) in the presence of heparin. Apo-A1 sticks to plaques, making them larger and harder to break down. This discovery opens new avenues of research for the treatment of atherosclerosis. However, although this is encouraging news, simply increasing your intake of green tea will not have much effect. Professor Jeremy Pearson, Associate Medical Director at the British Heart Foundation, tells the BHF Heart Matters Magazine that: “Our bodies are very good at breaking down EGCG, so swapping your cuppa for green tea is unlikely to make a big difference with respect to your heart health. Other lifestyle modifications such as reducing smoking, eating a healthy diet and regular exercise will also help reduce cholesterol, so these should be encouraged as part of a wider risk-reduction strategy.